When you think of solar powered cars, how they work is probably the first question that comes to mind. Solar powered cars are actually electric cars but instead of using plug-in technology, they are powered directly by solar energy. This solar energy is harnessed by solar panels that are attached to the outer surface of the car. Photovoltaic (PV) cells take the solar energy that is captured and convert it into electricity. Unfortunately they are not as yet a practical solution to our energy needs in the transportation arena due to the limitations inherent in the current designs. The cars are not equipped to store enough electrical power to go more than a short distance when not in direct sunlight. While occasionally solar powered cars have been built for other purposes, most are created for racing. The solar powered race cars are often sponsored by universities in the engineering or technology departments and sometimes by government agencies. The objective behind these sponsorships is to inspire further research and development of solar technologies. Perhaps one day, solar powered cars will replace the gasoline guzzling machines of today. With solar powered cars, the work mechanism is basically the same for all versions. Each vehicle has a solar array consisting of many PV cells which captures and converts the solar energy into electricity. There are various solar cell types and technologies that have been used in solar powered car prototypes, including gallium arsenide, poly-crystalline silicon and mono-crystalline silicone. The differences are more due to individual preferences than to any real discernible power differences. Since solar powered cars are usually made specifically to race, they can come in a variety of unusual shapes and sizes. Designers are always focused on increasing the speed that the car can attain so they strive to make it as strong as possible while still keeping it lightweight and aerodynamic. Most solar powered race cars have room for just the driver in order to keep the weight low and be able to keep the cockpit as small as possible. The electrical components are the most important part of solar powered cars; how they work is not only for continuous power, but for storage capabilities. The battery pack can be likened to the gas tank of a traditional car. Instead of gasoline, the battery stores electrical power for later use. Unfortunately, while batteries have improved tremendously, they will not hold enough power to run the car for more than short distances. Although solar powered cars are not yet practical for every day driving needs, the technology shows a lot of promise. Many ideas and experiments are being developed that attempt to address the limitations of solar powered cars. Ideas that are being worked on include incorporating the solar cells into the paint job of the car and batteries with higher storage capabilities. 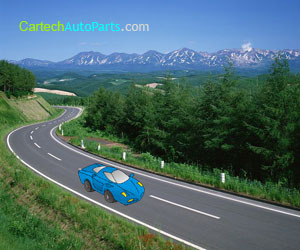 Solar powered cars are one of the most promising developments in solar technology. Not only would they be cheap to run due to the sun's power being free, solar powered cars would eliminate enormous amounts of the pollutants emitted by traditional gas powered cars. This would go a long way in stopping and even reversing the ill effects from global warming and greatly reduce air pollution and smog. With solar powered cars, how they work without burning fossil fuels makes them a possible solution to our energy crisis. Solar energy is clean, renewable and free energy that can supply all the energy needs of the world. This energy is pollutant free with no emissions or greenhouse gases released into the air whatsoever. With the rising concerns over global warming and climate change, this is one of the most important reasons to pursue developing more ways to utilize solar energy. In retrospect solar powered cars seem like a great idea. However, in reality solar energy can only be stored for so long, thus limiting the amount of power these type of vehicles can have. ummm. . . so solar cars do not release any energy? no emissions? excuse me but this is a little weird as energy can be neither created or destroyed so this solar energy has gotta come out sumwhere. . .